A typical Cuban menu livened by the music of a local trio, for the enjoyment of those who love Cuban rhythms such as Son and other genres. 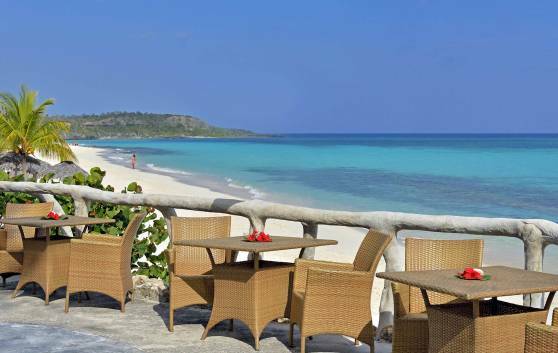 Guests can gaze at the surrounding natural lakes and islets while savoring the best Cuban rums. 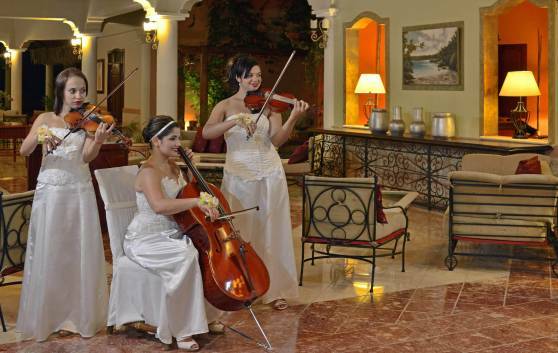 El Patio restaurant, reminiscent of colonials days, is the ideal setting for a romantic dinner. 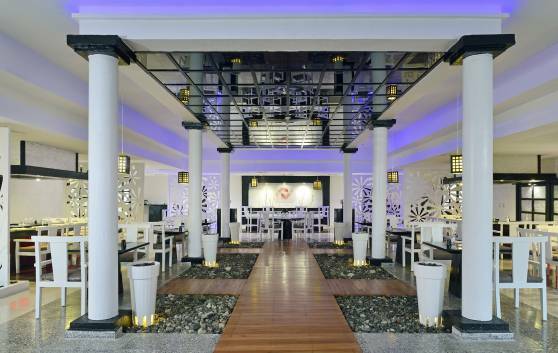 Its excellent gastronomic offer includes a wide array of delicious international specialties exquisitely garnished. The perfect way to end a day full of excitement in the midst of a pristine tropical paradise. 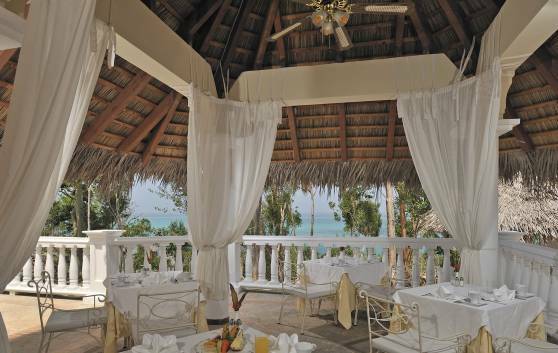 Spacious open-air salon exquisitely decorated, including a roof made of precious Cuban wood. Wide assortment of tasty gastronomic offers. 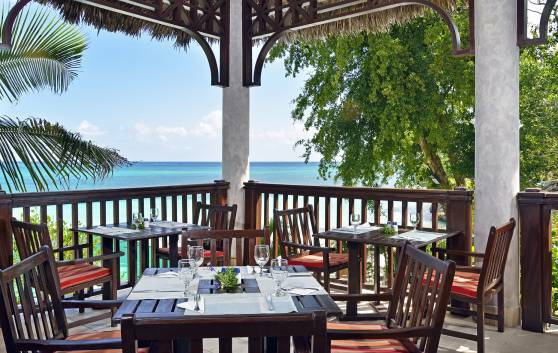 Breakfast complete with sparkling wine, natural fruit juices and original menus for both lunch and dinner, since the plates are prepared in your presence. A different theme night every evening: Cuban, Mexican, etc. 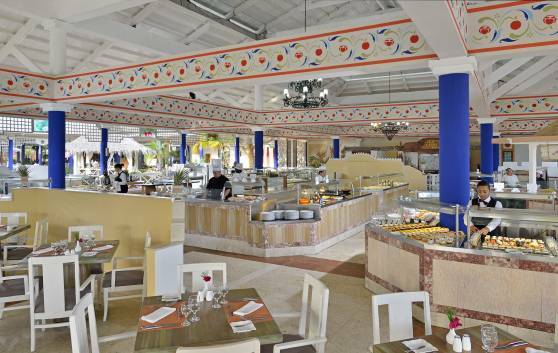 With its panoramic view of the lush tropical gardens and swimming pool, during lunch this snack bar offers a wide assortment of excellent grilled meat, Italian specialties and fresh seafood. 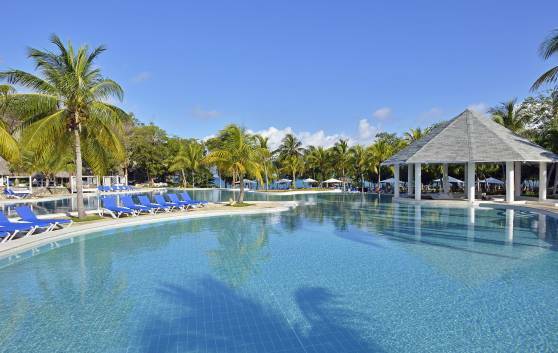 Light snacks, cool juices and beverages are also served to those who prefer to remain by the pool. 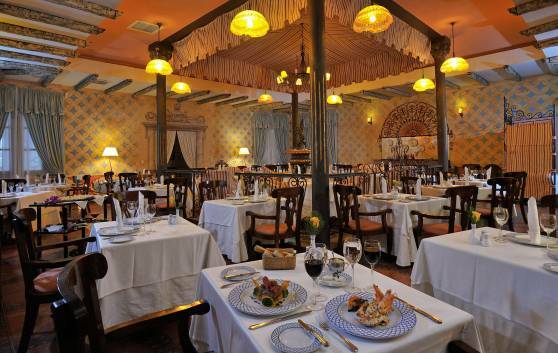 This new haute cuisine Mediterranean restaurant, set in a wonderfully romantic colonial ambience, is a unique shrine to enjoyment. 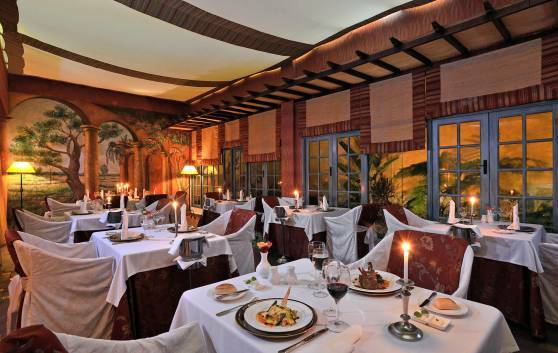 And for the perfect complement, either before or after dinner, we highly recommend Salon Habana where guests can savor the best cigars in the world and choose from a wide assortment of fine wines and premium spirits; surrounded by comfort and luxury as such an occasion calls for. 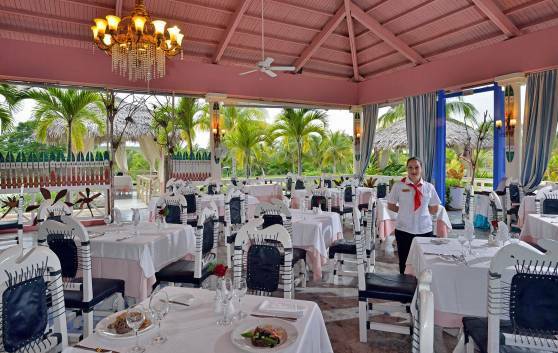 The Santa Maria restaurant is located in a marvelous natural setting, where guests can choose from a wide assortment of exquisite grilled meats and seafood. 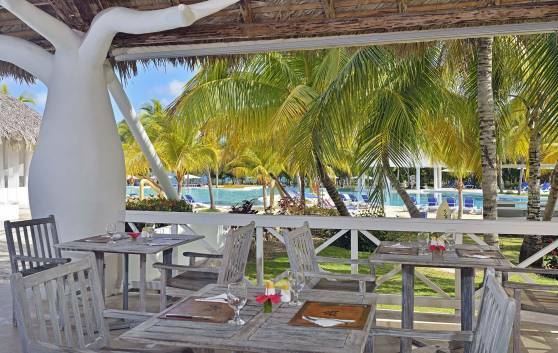 The restaurant is a favorite among guests, especially among those who do not wish to leave spectacular Playa Esmeralda beach for a single minute. This cozy Japanese restaurant invites clients not only to relish the wonders of this superb oriental cuisine but also to enjoy its excellent wine menu. Artistically decorated with typical mats that will enhance the satisfaction of clients as they savor authentic Japanese cuisine. The swimming pool aqua bar gives you the sensation of being in a tropical forest surrounded by swaying coconut palm trees. Guests can chat or simply relax as the savor the wide array of tropical cocktails and beverages. 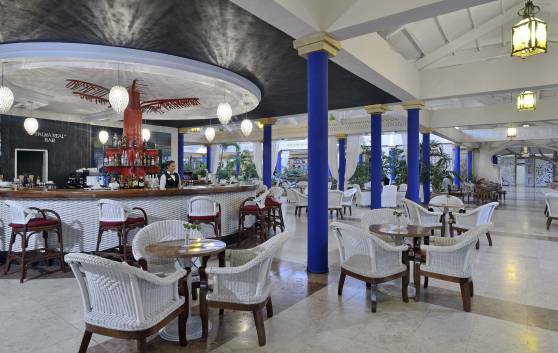 The Palma Real lobby bar with its attractive mural allegorical to our national tree, is an ideal place to rest between one adventure and the other, as guests savor refreshing tropical cocktails or chose from a wide variety of national and international beverages throughout the day. 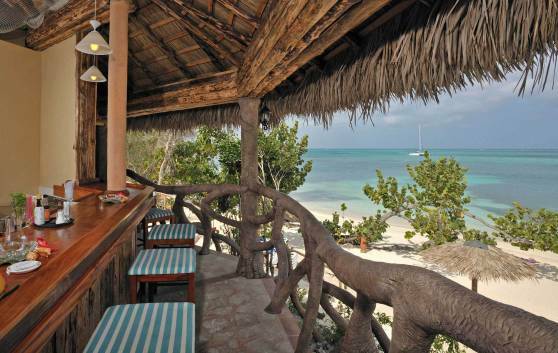 Located on Playa Esmeralda. 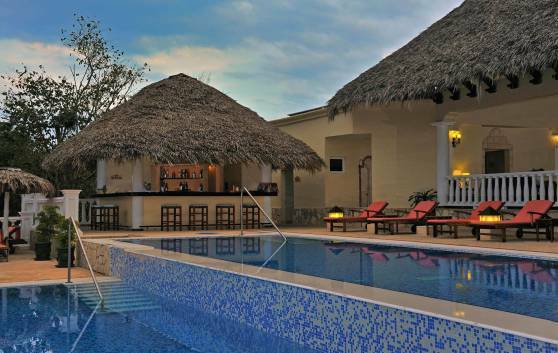 Beverages served in the bar and to guests on sun loungers.